Education is key to raising awareness of the burden of migraine on families and social interactions. Amid increasing focus on the potential burden of headaches on migraineurs, new research shows that the effects of chronic migraine extend beyond affected individuals to impact family and social connections. New data reveal that the burden of Chronic Migraine significantly impacts family members, as well. Results of a web-based study of nearly 1,000 women and men with Chronic Migraine reveal that respondents cancelled plans more than four times per month on average and reported reduced involvement in family activities nearly seven times per month on average. Respondents also reported missing a date or social event with their partner nearly three times per month on average; 20 percent of respondents have missed a planned family vacation as a result of Chronic Migraine within the past year. Results come from the Chronic Migraine Epidemiology and Outcomes (CaMEO) Study, which has a particular emphasis on understanding the differences between chronic and episodic migraine and is funded by Allergan. Speaking about the recent findings, Andrew Blumenfeld, MD, Director of the Headache Center of Southern California, noted that migraine sufferers, “appear to be missing a lot of important family events.” It is useful for neurologists to recognize the wide and variable effects of migraine, because understanding how headaches impact each individual can be important to developing a treatment regimen, Dr. Blumenfeld suggests. 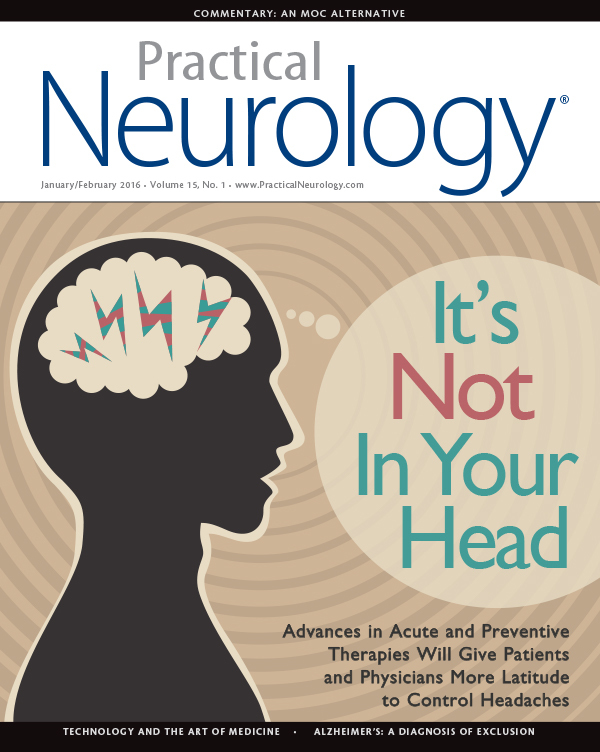 When and how to prescribe preventive migraine medications can depend not only on the frequency of headaches but also on their severity and impact. Involving patients in treatment decisions is helpful and may improve adherence, Dr. Blumenfeld adds. Migraine comorbidities may have complex interrelationships. “Depression and anxiety are more common in individuals with chronic migraine,” Dr. Blumenfeld observes. Anxiety can lead to fear of going out in public, for example, which can then help contribute to depression. The new findings about the burden of migraine on families and on social interactions shed more light on a disease that remains poorly understood by many. It is definitely poorly diagnosed, Dr. Blumenfeld says. He points to a new Chronic Migraine screening tool that may improve diagnosis and help patients get proper treatment. Understanding how headaches impact each individual is essential to developing a treatment regimen. Therefore, neurologists should recognize the wide and variable effects of migraine and help patients recognize how to best manage and cope with the condition. Additionally, involving patients in treatment decisions may improve adherence. The ID-Chronic Migraine (ID-CM) screening tool was developed by a team of headache experts and uses the most recent headache classification guidelines to help patients communicate better with their healthcare providers about headache symptoms and the impact of symptoms on their daily lives. “Education is key,” Dr. Blumenfeld emphasizes. “The better patients understand the disease, the better they can control it.” Education spans from helping clinicians understand the impact of migraine to helping patients recognize how to best manage and cope with the condition. “Without education, you can’t achieve proper control.” As a case-in-point, he reminds that medication overuse headache remains a significant problem because patients don’t understand the effects of OTC treatments. Rapid progress in deep brain stimulation and focused ultrasound offer a glimpse of the future of treatment for Parkinson’s disease.